With the death of the Beatles producer Sir George Martin, so passes the top influence to the groups legendary sound. On March 8th the legendary music producer Sir George Martin, best known for his historic collaboration with The Beatles, passed away at the age of 90. In Martin’s career, he created a musical legacy matched by a select few. As a man of such diverse accomplishment, he provided the foundation for the musical evolution and infinite legacy of The Beatles. When first approached regarding The Beatles, Martin saw talent and possibility where other music professionals of his day did not. What exactly did George Martin see in these four young men? How did this legendary collaboration work? This is what we must always remember about the fifth man. George Martin first encountered The Beatles in 1962 when he was approached by Sid Coleman of Ardmore and Beechwood. Coleman believed Martin might be interested in the new band and connected him with The Beatles’ manager Brian Epstein. The group that would become the “Fab Four” had just been passed over by the major label Decca Records and Epstein was exploring alternative recording labels for the band. Martin and Epstein’s was an interesting, and certainly fateful, meeting. Though these five men would come to redefine music, The Beatles and George Martin at that time made for very strange musical bedfellows. 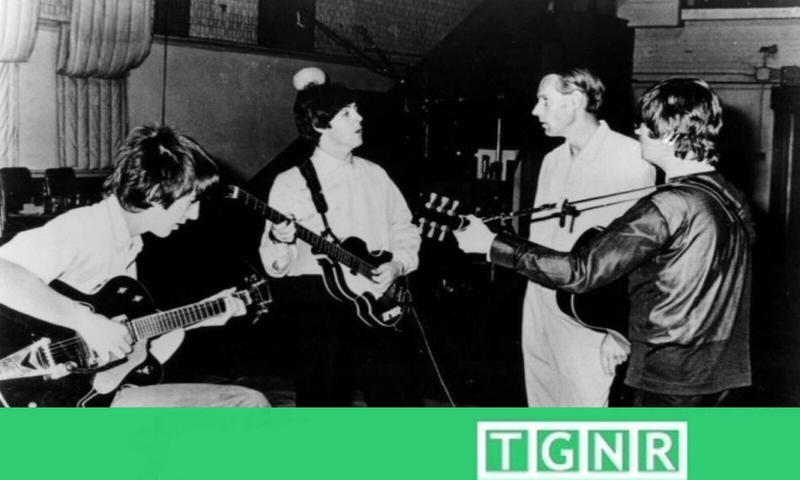 George Martin was a classical musician at heart; it was his first musical passion. Martin was a classical pianist as a young man, who had even worked for BBC Classical Department. When he took the helm of Parlaphone Records, he produced music entirely based in classical talent. By 1962, he was producing very popular comedy albums on the Parlaphone Records label, working with numerous classically trained satirical musicians of the day. With these projects, Martin single-handedly changed the fortunes of Parlaphone itself, transforming the label from a niche player hemorrhaging money into a tactful financial success. George Martin had an established, prosperous career on his own before he ever encountered Epstein or Rock and Roll music. For The Beatles part, they were a band with a very rough image in 1962. The band had only just returned to Liverpool after making their musical mark playing in underground clubs in West Germany. They were not yet the young gentlemen in collarless suits bowing at the end of their Ed Sullivan Show performance. The contrast between Martin and The Beatles at this juncture was palpable. When Martin first heard The Beatles demo he was very ambivalent in his assessment of their sound. Yet due to his professional mastery of attention to detail, Martin recognized a quality his contemporaries had not: the vocal talents of John Lennon and Paul McCartney. Based on this one very adept observation, he agreed to work with the four musicians regardless of any other reservations he had about the band at that time. The creative process has no set definition or set methods. It is as unique as a finger print. That being said, creative collaboration must be experienced to be understood. Whatever the end results, any joint effort often encompasses all of the best and worst qualities of those involved. The Beatles were no exception and Martin worked through all of it. George Martin is often referred to as the “Fifth Beatle.” While he was not front and center, his place was indispensable. Not simply because he produced music professionally, but because he was relentless in furthering the quality of the groups work. While managing four incredibly intense personalities, Martin did what all great teachers and produces do: he challenged the four of them and it worked. Though challenge alone does not take you to the Rock and Roll Hall of Fame. The Beatles are the greatest musical paradigm since the invention of the guitar string, and this was not an accident. It is said, “Before one can become an artist, one must become a professional.” George Martin exuded professionalism. Professionalism is a quality that is necessary in abundance to maintain focus and hone creative energy when balancing the pressure of the world hanging on your every note. The Beatles were unique for many reasons, paramount was the singular evolution of their sound in a very short period of time. The leap between Revolver and Sgt. Pepper’s is one of the most analyzed and celebrated accomplishments in musical history. There were many factors that brought The Beatles to the epiphany to embark on this endeavor. Yet it is one thing to have an amazing idea, and it is quite another to bring them to fruition. These were shoes only George Martin could truly fill. Martin possessed two critical qualities that allowed this musical revolution to occur. He had the best technological means at his disposal and the resourcefulness to identify new possibilities while using unorthodox methods. When combined with a vast musical knowledge, the results are unparalleled. The greatest example of these virtues at work is found in the song, “In My Life.” Martin was well known for introducing the group to new instruments, demonstrating their potential to add substance to their work. During “In My Life” there is a portion of the song that features what sounds like the notes of the harpsichord. It was not. As opposed to hiring a harpsichordist to play that portion, Martin went to his piano. With the piano recording sped up in production, he created an indistinguishable product that no one could have otherwise identified, with a method even less would have considered to employ. This was one of countless instances of Martin’s contribution to The Beatles discography and how the five brought the best of their musical backgrounds to the creative table. The greatest accomplishment for any artist is when their work defies the test of time. Always relevant and never a relic. Many years have passed since the group parted ways and yet their music does not age. The Beatles remain an intrinsic characteristic of our cultural identity and are perpetually relevant. In addition to everything The Beatles accomplished, the production quality of their sound was beyond concert pitch. As such, it does not suffer from conversion to the digital era. George Martin produced high fidelity recordings that surpassed the technological standard of their time. The mechanical quality of the recordings produced have allowed them to be complimented by the digital age and not exposed. It is nothing less than an additional testament to the self evident truth that The Beatles do not fit in any musical category, but are a class and definition unto themselves. Achilles was truly only as strong as his heel, and the digital age has not always been diplomatic with the music legends of the past. George Martin is the individual who ensured The Beatles would never suffer that ignominious fate. It was not because he prophesied the consequences of technology 30 years into the future, rather his personal definition of success was immeasurable regardless of his available tools. It was an end unto itself. George Martin departs this world with an unparalleled legacy. He was the right man, at the right place, at the right time. He hit the target no one else could see. In truth people like George Martin only leave this life, but they never die. His contributions to Western culture will endure to the end of time. If the definition of genius is original thinking, one need not look beyond this man and the joy billions have taken from the fruits of his labor. What more can be said? Sir George Henry Martin, thank you.